The hopeless grief of those poor colored people affected me more than almost anything else. From 76 ships and 7600 sailors in 1861 the Navy expanded almost tenfold by 1865. While Welles dutifully supported James K. Welles' strong support of Abraham Lincoln in 1860 made him the logical candidate from New England for Lincoln's cabinet and in March 1861 Lincoln named Welles his Secretary of the Navy. His buildup of the Navy to successfully execute blockades of Southern ports was a key component of Northern victory of the Civil War. 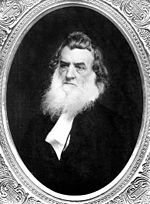 Gideon Welles (July 1 1802 – February 11 1878) was the United States Secretary of the Navy from 1861 to 1869. Welles was also instrumental in the Navy's creation of the Medal of Honor.